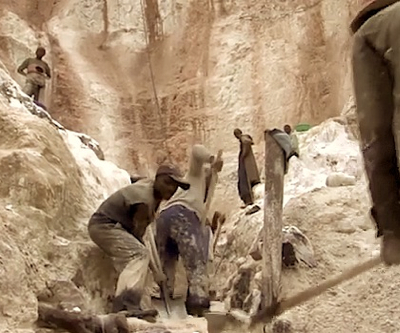 Unlike legitimate countries that export tantalum, the Congo has been dominated by warlords who slaughter innocent people to take land that is rich in highly demanded minerals. Intel has taken a giant leap forward in responsible sourcing for the electronics and IT industry by announcing that —from now on— every microprocessor the company uses will be made entirely with conflict-free minerals. CEO Brian Krzanich, who is just six months into the position, said Intel will make sure that every piece of tantalum, tungsten, gold, and tin found in its microprocessors will come from smelters that only source minerals mined outside areas plagued by armed conflict and human rights abuse, such as those affecting parts of the Democratic Republic of Congo (DRC) and surrounding countries. The company’s move is the culmination of years of effort to track down the smelters, more than 60 in in 20 countries, which provide the firm with key minerals and then auditing them for where the minerals came from. Other companies, such as Apple, Samsung, and HP, are also taking steps to identify their smelters and keeping them conflict-free when possible.